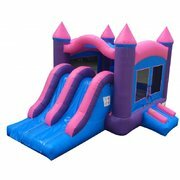 Combo bouncers provide double the fun! 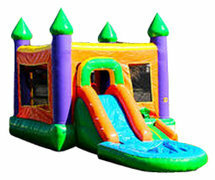 Combo bouncers consist of not only a bounce house, but also either a slide or basketball hoops for more fun! 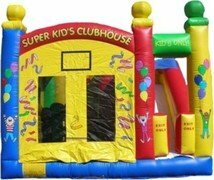 Austin Metro Moonwalks has a great selection of combo bouncers to choose from. 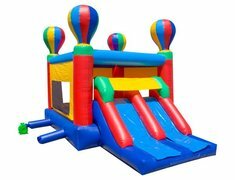 The beauty of renting a combo bounce house from Austin metro moonwalks is that kids have options, they will not be confined to just a bounce house. They can shoot some hoops, bounce and slide!